Impact factor (II). Better publications? Most of the authors do not read all documents before referencing them, as many times it is only cited those authors that are expected to be cited, or that publications are not referenced to avoid benefiting your peers and other worst practices. Others claim that references used in other papers are copy pasted, so a document already cited is more likely to be cited again (accumulative advantage). Or even the fact that errors are common in reference lists (occurring at a high percentage of all references), which affect the accuracy of the impact factor indicators. As you can see, there is not a single source to measure the influence of your publications, so do not get obsessed or idolize one in particular. Think that this system is what we have, so try to be in all of them (nor easy and takes time), publishing in journals indexed in several databases, because always there is going to be someone (scholar or faculty) who is going to give more relevance to one indicator than to others. 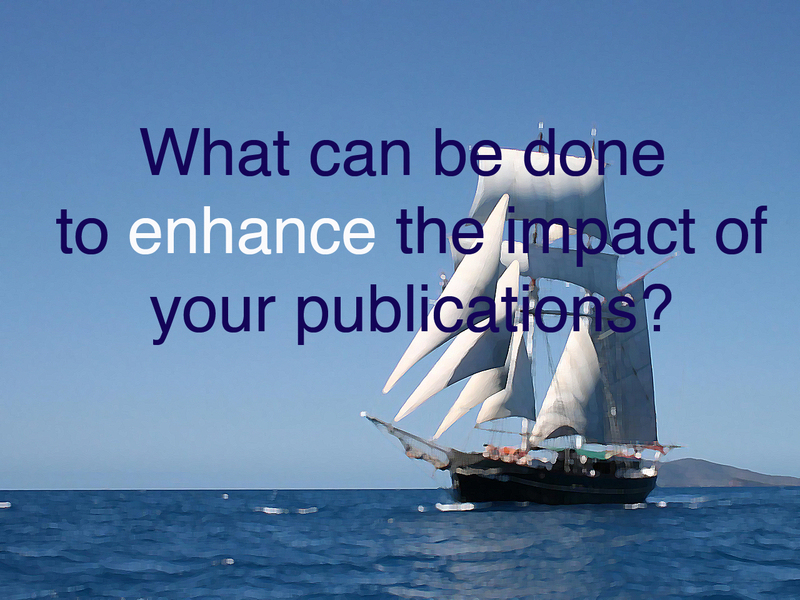 And use the journals metrics and indexes to consider where to publish your next research. It is also possible to work a little bit to make your publications visible, so that other scholars could find and cite them, as publishing in open access journals, signing always the same way or trying to disseminate your publications in internet. In summary, you are obliged to publish in indexed journals, no matter the flaws of the impact factors or who are calculating them, and you’d better learn to use Google Scholar Metrics because it is changing our current impact factor and indexing system, don’t you think so? One Response to Impact factor (II). Better publications?